We asked Amanda to walk us through the Winter Games fabric collection. Where did you get the idea for Winter Games? It was the athletes. 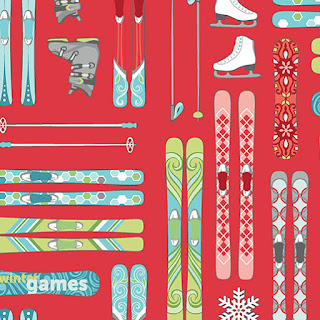 I had an idea to do winter sports athletes, and with the Olympics being this winter, it was perfect timing. 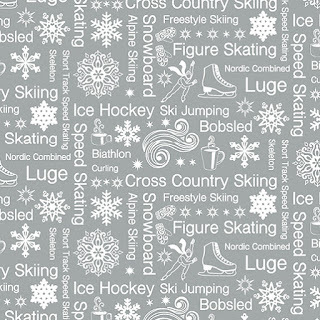 I originally called it Nordic Games, as a spinoff of Nordic Holiday, my previous winter collection. If you look at the animals in Nordic Holiday, they’re very graphically treated, and I’d say I did the same thing with the athletes. They’re not pictorial—there are no faces—almost silhouettes except for the clothes. Do you participate in any winter sports? I have no athleticism! I was the last kid picked in gym class every time. I wanted to do something with the deep gray. There’s more depth and masculinity to this collection. I really like all the different colors of gray. Overall my favorite thing about these fabrics are the colors. 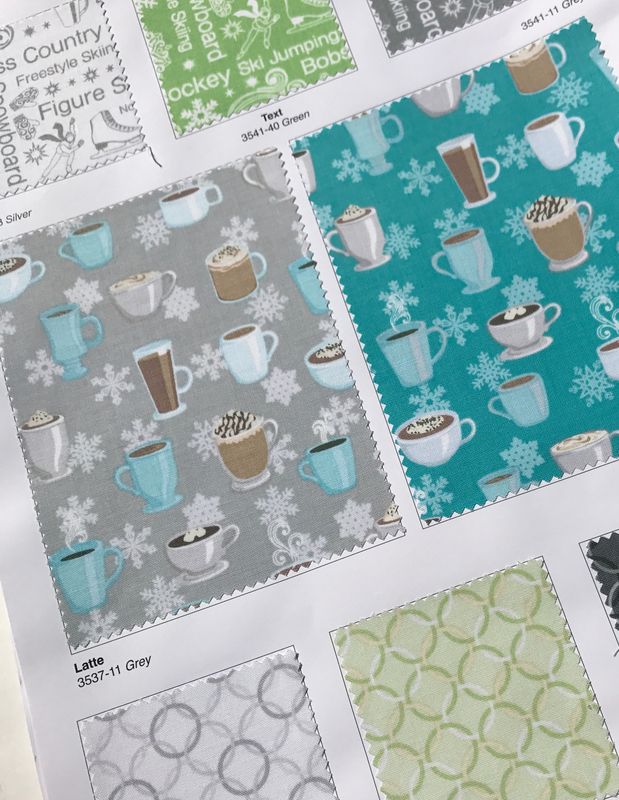 There are so many different depths in tonality—from dark gray all the way to white—that it was really easy to design quilts in this collection. How did you capture the body positions of the athletes? I took ballet as a kid, so I can draw dancers pretty well. That helped for the skaters. I also looked at photos—for example to see how the skiers bend over the skis (as they jump). You captured so much detail on the prints. 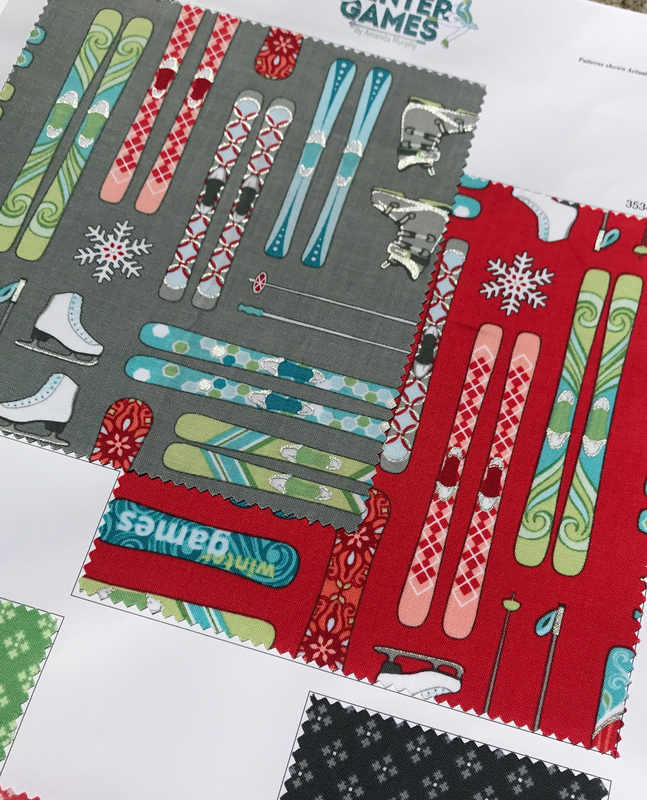 I couldn’t put every detail in, but started with the main lines—for example, the shape of the ski—and then filled it in however I wanted. I’m not sure if real skis actually look like that. For the ski boots, I looked at photos to get an idea of how the boot fits into the ski, and how the boot closures work, and went with those ideas without copying every detail exactly. But you get the feel of it. I love the text print with all the Olympic sports. I don’t usually do text prints and I had to figure out how to fit in all the Olympic sports. 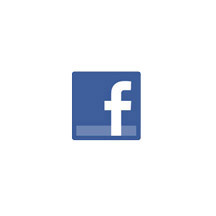 I really like the snowflake too. And the athletes. Tell us about a few of the other coordinates. For the latte print, I was thinking what would you do in a ski lodge. My daughter loves coffee drinks. I just thought they were fun. 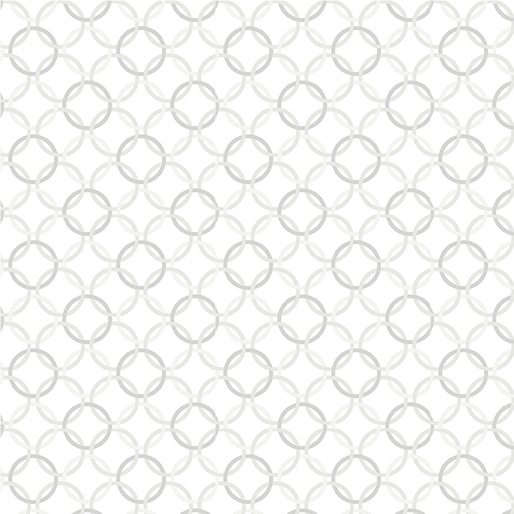 The silver rings are definitely a nod to the Olympics—the idea of interlocking rings that would tile across. They work well because I needed something rounder. The skis are straight, and I needed a coordinate with circles. 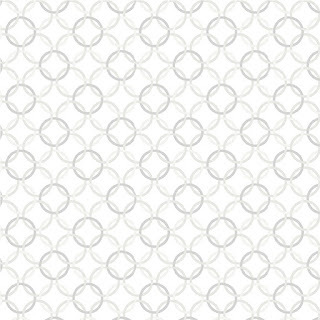 The blizzard print is inspired by machine quilting. It’s an easy fabric to quilt over, especially using swirls. 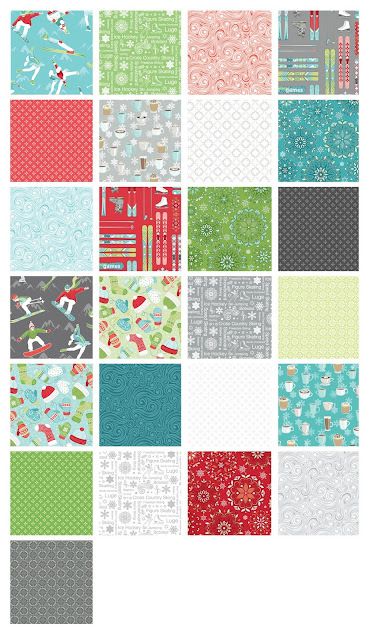 Machine quilting definitely influences what I draw, and I think it’s an incredibly usable print. 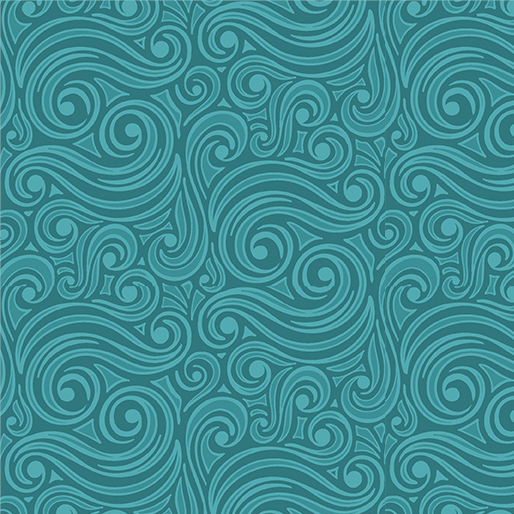 I really like the dark teal—it has so much depth. 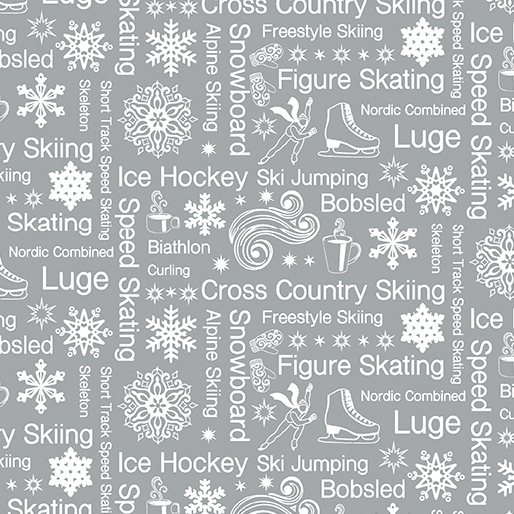 The snowflake print is more traditional—it plays off the more modern feel of the text, the rings, and the ski prints. It’s my favorite type of blender because it has pops of color that you can play off of in other parts of the quilt. 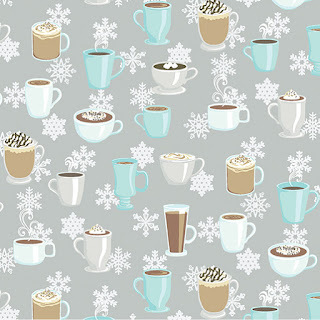 We're getting into the winter spirit with mug rugs! 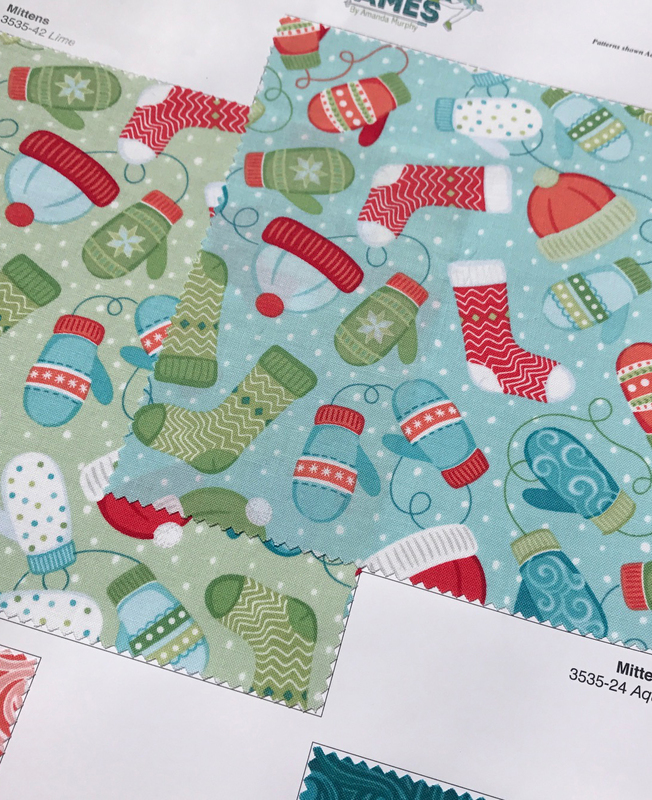 This week we'll be sharing mug rug tutorials as well as introducing you to Amanda's new patterns featuring the Winter Games fabrics. Beautiful. Just love this collection. Amanda, I love this new line! I'm an Olympic downhill racer (in my dreams!! LOL) but I truly love mountains in winter and the beauty of snow, especially since I live in hot Texas now! Another great collection from Amanda Murphy! This is a beautiful Christmas collection! Absolutely love this collection. The colors are vibrant and fun, fun, fun. What a wonderful collection! Looking forward to seeing the mug rug tutorial!! thank you! Congratulations Amanda! Love this line and look forward to purchasing. I’ll be sure to inquire at KMiS, Largo, FL. 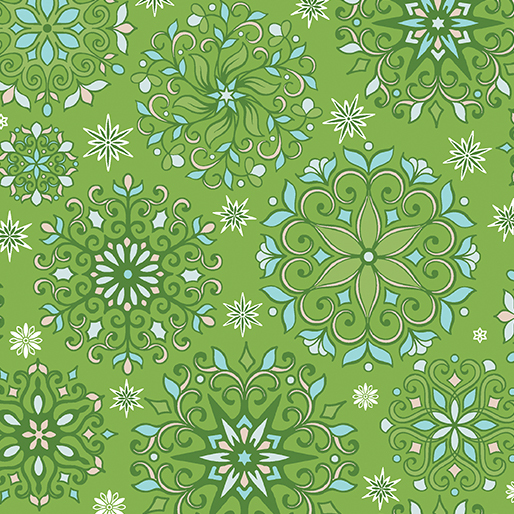 I’m thinking of a fun book cover or quilt. Brava!!! Love the fabric, patterns and theme! A beautiful collection. Would love to use it for a cosy winter quilt. Can't wait to make a quilt with this collection! 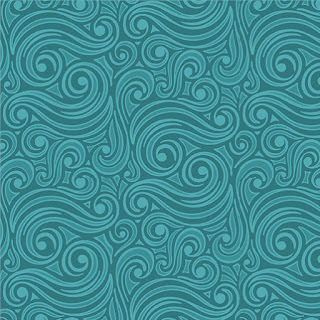 Wonderful fabric, love the teal color. 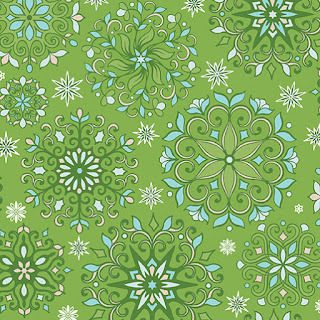 Cute fabric and the colors are stunning together! That would make anyone love winter! Absolutely love this collection of fabric. It is a must have as winter is my favorite season! I love snow, hot chocolate, snowshoeing and all things wintery! Another gorgeous collection from Amanda! Love it! 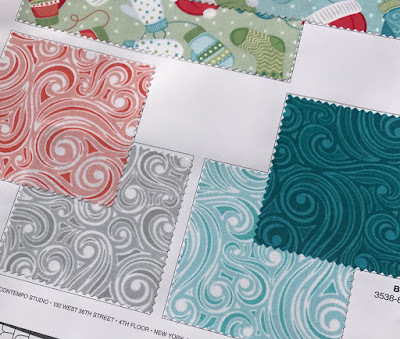 This fabric collection is stunning! I love the Olympics, so this is definitely something I will be buying. Hmmmm...what pattern to use? More beautiful fabrics! I love them! 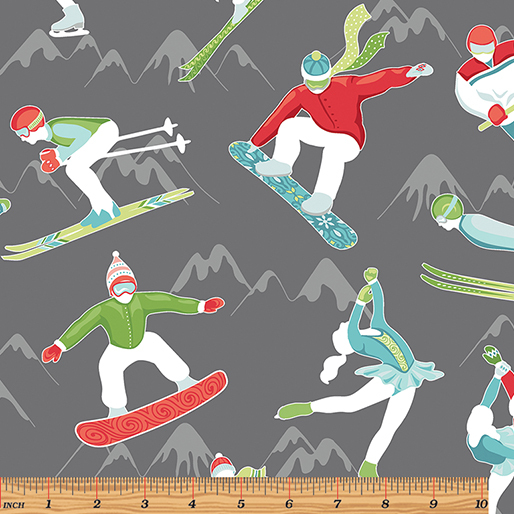 Love, love, love the fabric.Our family are skiers, so this would make awesome Christmas gifts for them. When I saw it on the back of one of the magazines, I started looking to see if my quilt shops are going to carry it. Unfortunately not, so I will have to look on the internet. So wonderful, Amanda! Finally , some winter themed prints that do not look like Christmas. Love the coffe drinks print myself (Thank your daughter) and the snowflake background really makes 'em look so delcious on a cold winter day. Thank you for sharing, looking forward to the Blog HOp. Jaw dropping wonderful. Neat sashing on one of her samples. Love the fabrics. They're different from most Christmas/winter fabrics.